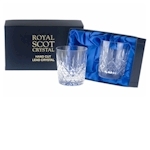 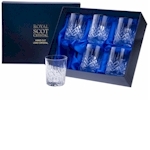 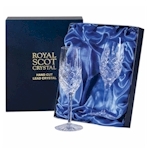 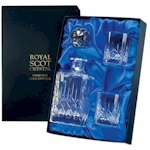 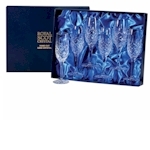 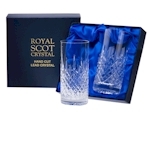 A quality range of hand cut lead crystal glassware in blue satin lined presentation boxes with lift off lids. 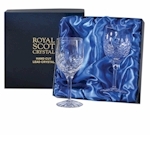 Glasses are available in boxes of six or as boxed pairs. 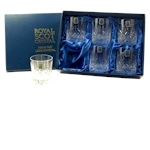 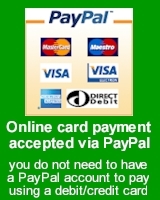 Matching decanters and items of tableware are also available.